eCarsCash.com (“eCarsCash.com” or “us” or “we”) is a business of eAutoLease.com. eCarsCash.com provides its internet products, services, and Content (defined below; collectively, the “Service”) to you subject to the following Terms of Service (“TOS”), which may be updated by us from time to time without notice to you. You can review the most current version of the TOS at any time. In addition, when using the eCarsCash.com’ particular Service, you shall be subject to any posted guidelines, rules, and/or policies and procedures applicable to such Service which may be posted from time to time. All such items are hereby incorporated by reference into the TOS. eCarsCash.com reserves the right at any time and from time to time to modify or discontinue, temporarily or permanently, the Service (or any part thereof) with or without notice. You agree that Cars Cash shall not be liable to you or to any third party for any modification, suspension or discontinuance of the Service. This website contains information, data, services, products, images, and other matters (collectively, “Content”) that is offered for informational purposes only. You acknowledge and agree that the Content and any necessary software used in connection with the Service (“Software”) contain proprietary and confidential information that is protected by applicable intellectual property and other laws. You further acknowledge and agree that the Content presented to you through this website is protected by copyrights, trademarks, service marks, patents or other proprietary rights and laws. All Content is owned by eAutoLease. Except as otherwise noted, eAutoLease is the owner of all trademarks and service marks on this website. You may not use, copy, modify or display any of eAutoLease’s trademarks, service marks, trade names, or logos appearing on the Site without the express written permission of eAutoLease. The Content is provided by eCarsCash.com for informational purposes only. The Content may be printed, downloaded, and reformatted for personal, non-commercial use only. No Content, in whole or in part, may be used or exploited in any way for any commercial purpose whatsoever, including downloading, copying, duplicating, linking, displaying, distributing, or reproducing, without the express written consent of eCarsCash.com or eAutoLease.com. You agree that you will not use the Content for any commercial or unlawful purpose nor will you, or assist or allow someone else to, manipulate, delete, conceal, move, add to, or otherwise modify the Content. You acknowledge that, at any given time, eCarsCash.com may include links to the websites of third parties. Additionally, we may display advertisements from third parties and links to the websites of such third parties. 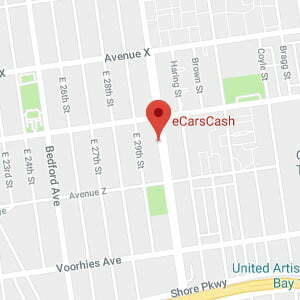 eCarsCash.com is not responsible for the content of such third party websites or any links, services or other materials relating to such website or advertisement, or any linked site, or any link contained in a linked site. The display of any link does not imply endorsement by eCarsCash.com on any linked site or any content therein. IN NO EVENT WILL eCarsCash.com BE LIABLE, DIRECTLY OR INDIRECTLY, TO ANYONE FOR ANY DAMAGE, LOSS, OR FAILURE OF A DONATION ARISING FROM OR RELATING TO ANY USE, CONTINUED USE OR RELIANCE ON ANY LINK DISPLAYED ON THE SITE, OR ANY SERVICES OR OTHER MATERIALS RELATING TO ANY LINKED THIRD PARTY SITE, OR ANY LINK CONTAINED IN A LINKED SITE. YOUR USE OF THE SERVICE IS AT YOUR SOLE RISK. THE SERVICE IS PROVIDED ON AN “AS IS” AND “AS AVAILABLE” BASIS. eAutoLease EXPRESSLY DISCLAIMS ALL WARRANTIES OF ANY KIND, WHETHER EXPRESS OR IMPLIED, INCLUDING, BUT NOT LIMITED TO THE IMPLIED WARRANTIES OF MERCHANTABILITY, FITNESS FOR A PARTICULAR PURPOSE AND NON-INFRINGEMENT. eCarsCash.com MAKES NO WARRANTY THAT (i) THE SERVICE WILL MEET YOUR REQUIREMENTS, (ii) THE SERVICE WILL BE UNINTERRUPTED, TIMELY, SECURE, OR ERROR-FREE, (iii) THE RESULTS OBTAINED FROM THE USE OF THE SERVICE WILL BE ACCURATE, RELIABLE, COMPLETE OR CURRENT (iv) THE QUALITY OF ANY PRODUCTS, SERVICES, CONTENT, INFORMATION, OR OTHER MATERIAL PURCHASED OR OBTAINED BY YOU THROUGH THE SERVICE WILL MEET YOUR EXPECTATIONS, AND (v) ANY ERRORS IN THE SERVICE WILL BE CORRECTED. NO ADVICE OR INFORMATION, WHETHER ORAL OR WRITTEN, OBTAINED BY YOU FROM eAutoLease, OR THROUGH OR FROM THE SERVICE, SHALL CREATE ANY WARRANTY NOT EXPRESSLY STATED IN THE TOS. NEITHER eCarsCash.com NOR ANY INTERNET ACCESS PROVIDERS ARE RESPONSIBLE FOR INCORRECT OR INACCURATE ENTRY OF INFORMATION, HUMAN ERROR, TECHNICAL MALFUNCTIONS, LOST/DELAYED DATA TRANSMISSION, OMISSION, INTERRUPTION, DELETION, DEFECT, FAILURES OF ANY TELEPHONE NETWORK, COMPUTER EQUIPMENT, SOFTWARE OF ANY COMBINATION THEREOF, OR INABILITY TO ACCESS THE eAutoLease WEB SITE. YOU EXPRESSLY UNDERSTAND AND AGREE THAT eCarsCash.com SHALL NOT BE LIABLE FOR ANY DIRECT, INDIRECT, INCIDENTAL, SPECIAL, CONSEQUENTIAL OR EXEMPLARY DAMAGES, INCLUDING BUT NOT LIMITED TO, DAMAGES FOR LOSS OF PROFITS, GOODWILL, USE, DATA, LOSS OF BUSINESS, OR OTHER INTANGIBLE LOSSES (EVEN IF eCarsCash.com HAS BEEN ADVISED OF THE POSSIBILITY OF SUCH DAMAGES), RESULTING FROM: (i) THE USE OR THE INABILITY TO USE THE SERVICE; (ii) THE COST OF PROCUREMENT OF SUBSTITUTE GOODS AND SERVICES RESULTING FROM ANY GOODS, DATA, INFORMATION CONTENT OR SERVICES PURCHASED OR OBTAINED OR MESSAGES RECEIVED OR TRANSACTIONS ENTERED INTO THROUGH OR FROM THE SERVICE; (iii) UNAUTHORIZED ACCESS TO OR ALTERATION OF YOUR TRANSMISSIONS OR DATA; OR (iv) ANY OTHER MATTERS RELATING TO THE SERVICE.